Taproom 11/10-13 Sushi Class – Make Beer Great Again! 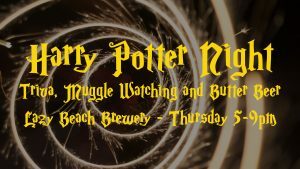 Join us this Thursday November 17th for Harry Potter night at the brewery! 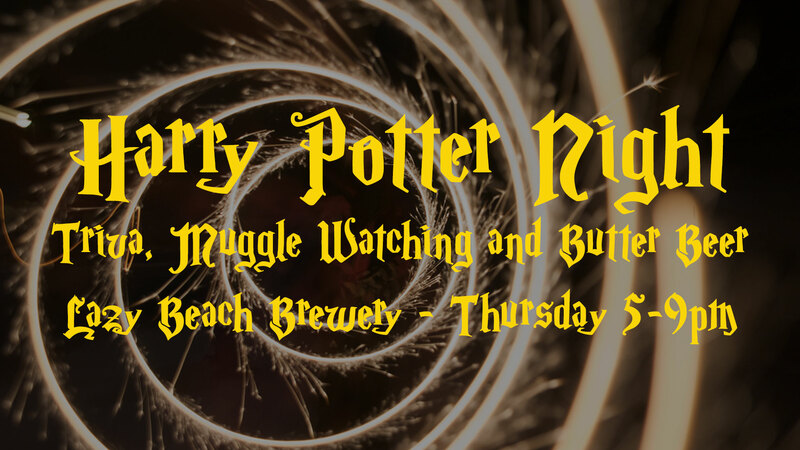 Grab your snuggle muggle or your best buds from the three broomsticks and hop on the hogwarts express over to the brewery for a night of trivia, muggle watching and butter beer! Costumes Strongly Encouraged, with prizes for best costumes. We will be open from 5-10pm and Iron Piñata will be here with delicious tacos. Trivia starts at 7pm with best costume being picked at the end of trivia.